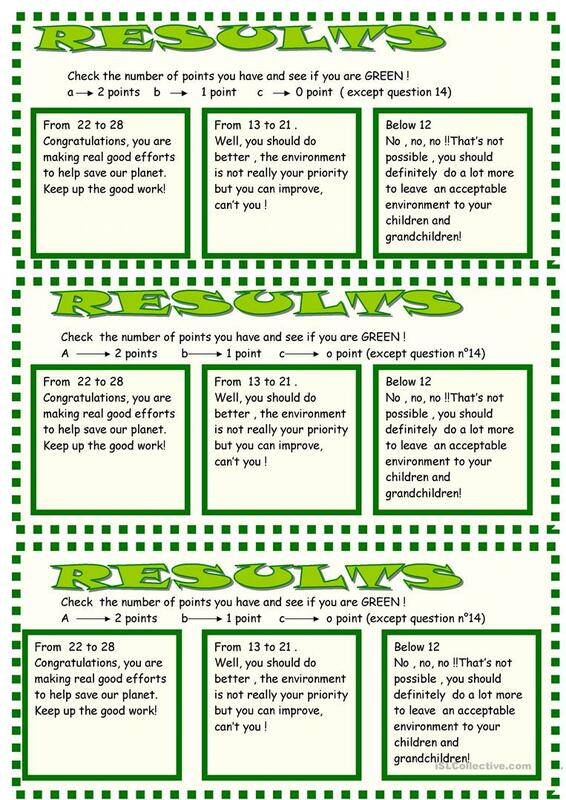 Students have to answer the quiz about their habits , then count their points to see if they are environmentally friendly. 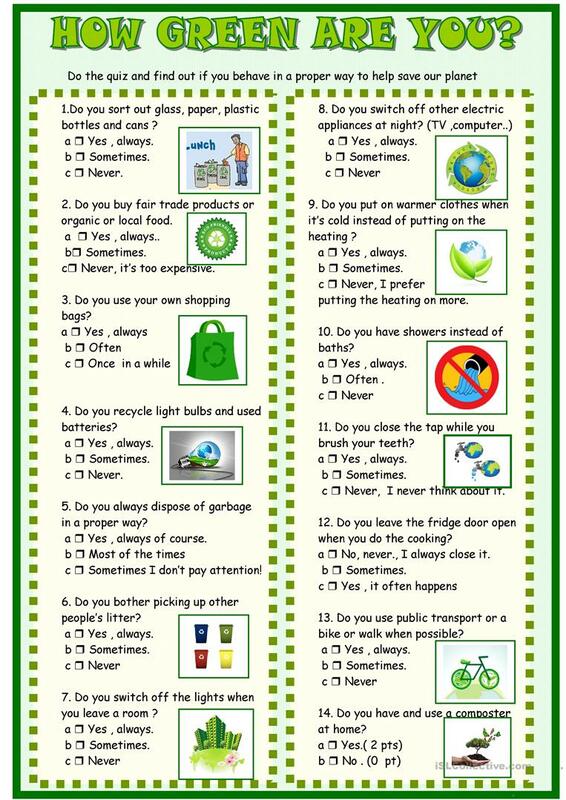 I used it with my pupils translated in French for a survey asking passers - by on market day! The present downloadable teaching material is recommended for high school students, elementary school students, adults and students with special educational needs, learning difficulties, e.g. dyslexia at Elementary (A1) and Pre-intermediate (A2) level. It is excellent for working on your learners' Reading skills. It features the topic and words of Environment.